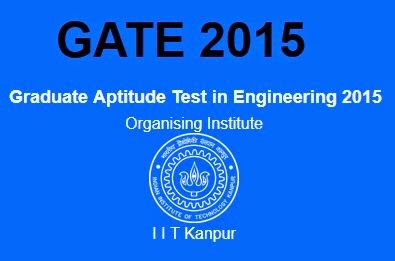 Graduate Aptitude Test in Engineering (GATE) Examination 2015 Notification is issued by IIT Kanpur. GATE examinations conducted jointly by 7 Indian Institutes of Technology (IITs) and Indian Institute of Science (IISc) each year for admission to Post Graduate courses of M.Tech / M.E/ MS in various IITs, NITs and other institutes and GATE Score card is used for Direct recruitment by various PSU, state and central government jobs for Engineers. The GATE 2015 score will be valid for a period of three years from the date of announcement of results. All the papers in GATE 2015 will be held in online mode only and few of the exams will be conducted in multiple sessions. Qualification: The candidate should hold a Bachelor's degree in Engineering/ Technology/Architecture (4 years after 10 +2/Post-Diploma) and those who are in the final year of such programs. OR The candidate in the final year of the Four-year Bachelor's degree program in Science (B.S.). OR The candidate should hold a Master's degree in any branch of Science/ Mathematics/ Statistics/ Computer Applications or equivalent and those who are in the final year of such programs. OR Candidate in the second or higher year of the Four-year Integrated Master's degree program (Post-B.Sc.) in Engineering/Technology can apply. OR Candidate should be in the final year of Five-year integrated M.Sc. or Five year integrated B.Sc./ M.Sc. program. Application fee: The candidates have to pay a non-refundable application fee of Rs 1500 (Rs 750 for female/ SC/ ST/ PwD candidates). The fee can be paid either online or through e-challan via State Bank of India or Axis Bank (additional bank charges may apply). 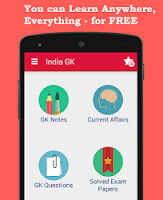 GATE 2015 Pattern: Question Papers of this examination consists of two types of questions. One type is Number answer questions. In this type candidates will not be given any multiple choices to answer the questions. In this pattern questions will carry 1 or 2 marks each in all 1 or 2 marks each in all papers and sections. Using the virtual keypad, candidates need to answer the questions in the real number. Other Type of questions was multiple choice questions. In this type candidates will be given 4 choices, correct answer need to choose by the candidates which carries 1 or 2 marks in all papers and sections. How to apply: Eligible and Interested candidates have to apply through the GATE online application processing system (GOAPS) at official website of IIT Kanpur link http://gate.iitk.ac.in/GATE2015/ from 1st September to 1st October 2014.